Ultra WQHD enables a screen resolution of 3440 × 1440 – 2.5 times the pixel density of Full HD – that delivers razor-sharp images. The greater pixel density also creates a wider screen workspace, so you see more content at once without much effort scrolling and zooming when web surfing or viewing large files such as spreadsheets. Pay only P 5,152 a Month for 12 months. Or pay only P 9,757 a Month for 6 months. Forget about the inconvenience of dual monitors, with the Samsung 34” Quantum Dot Curved Monitor you can experience seamless multitasking on a single monitor. Whether you are watching blockbuster movies, designing, gaming or analysing spreadsheets, the 30deg curvature of the screen provides a truly immersive viewing experience. In addition, Samsung’s curved screen enables more comfortable viewing. Samsung’s Picture-by-Picture (PBP) function lets you connect two input sources using HDMI and DP while maintaining the original image quality. And, with Picture-in-Picture (PIP) you can resize the second image to cover up to 25% of the screen and position it anywhere. 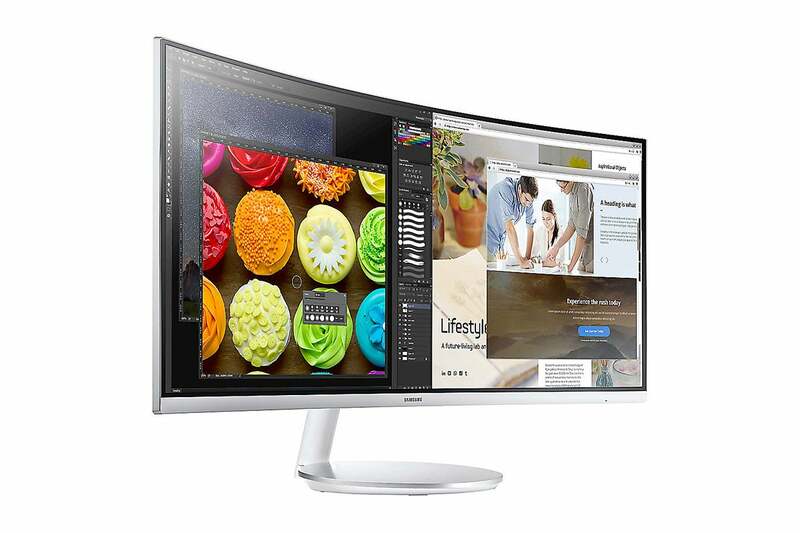 Supporting up to 125% sRGB colour space, Quantum Dot technology delivers not only more colours than conventional monitors, but also colours that are brighter, crisper and more natural – particularly reds and greens. And, because every monitor is factory calibrated, you can be sure you always see the most accurate and life-like images. Size	797.22 x 333.72mm (HxV)"